Your life is not how it is; it is how you make it. No matter how good you are at some specific skills or in education; if you are not taking care of your health and overall body; you might be inviting unnecessary burdens. How many of you face different types of hair or scalp issues? Do you know that these can be avoided or at least diminished to a great level? There are plenty of things that you can do with your head, hair and scalp for a better experience. What is the point if your scalp becomes the biggest interruption in your day today life? It would be really unfair, right? You have to make sure that your head stays clean, dandruff free, and absolutely fresh. You cannot allow your scalp to dominate you or rule your life. What you can do is you can look out for some good anti-dandruff shampoo for oily scalp like Ketomac. 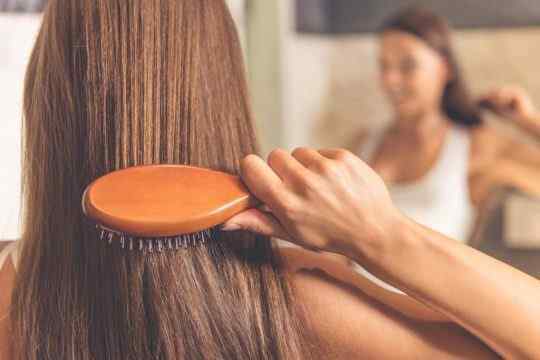 Indeed, your scalp is oily, and you are not doing anything about it; what can be worse than this that you can do to your head? Come on, make sure that your scalp compliments your life and make you feel fresh and absolutely hygienic. You have to understand that these human hairs turn out to be slippery when you don’t wash it in a sufficient manner. Similarly, it is also true that there are many human beings who possess oily scalps in a natural manner. They do have these conditions even if they do apply shampoo on their head often. This is an area that concludes in a condition that is called seborrheic dermatitis. If you don’t know, this condition is commonly known as dandruff. Of course, there are different factors that lead to dandruff but oily scalp attracts the maximum dandruff. If you have anything like redness, itching, scales, oily skin patches, skin lesions, and even hair loss; it means you are going to become a victim of dandruff. The clearest signs that you might be having dandruff are white flakes and itchiness that definitely lead to extensive dandruff. And you would be shocked to know that some people even experience dandruff in a way that they gather white powder on different skin areas like around lips and so on. It has been seen that various dandruff sufferers generate an abundant of skin oil. They can easily discover the yeast on their scalp and it is something that irritates their skin. If you are a person who does not take hair seriously and wash the hair rarely then you need to be alert. You have to be careful about your overall hair growth. If you are a man, then you have to be extra careful. What is the point if you are busy in deadlines and work, but your hair is telling an ugly story about you? Come on, there have been researches that say that men are more prone to dandruff. Thus, the moral story is that you can go ahead and pick Ketomac, the best anti dandruff shampoo for oily scalp in india, for your dandruff issue. Make sure that you are washing your hair on regular basis. In this way, you can ensure that you are not the next victim of dandruff.